Popular airline Captain, Chris Najomo & his pretty wife, Martha who is a well known Lagos Jewelry merchant, pulled a big crowd a few days ago, when she hosted top celebrities at the classy traditional wedding of her beautiful daughter, Christabele who got married to her beau, a Kenyan, Zaccheus Mokua who hails from Kenya. The wedding took place at the Balmoral Event Centre, inside Federal Palace Hotel at Victoria Island. It was an event that had all the trappings of high society. It was a show of Class, Status and Money as dignatries from all walks of life stormed the wedding. They include wives of top society people. It is only the likes of Martha Najomo that can pull this people together because she has maintained her social status and has further put herself on a high pedestal by locking down big events. We can’t forget in a hurry, her 50th birthday party which shook Oriental Hotel in Victoria Island, Lagos. Her 45th was done in Spain, while her 55th birthday, last year took a whole week in Nice,Monte Carlo. She guests who went on a Yatch to enjoy themselves alongside a group dinner and Spa. It was an expensive party that gulped millions. This is what Martha Najomo replicated at her daughter’s wedding which trended on social media with the Instagram hashtag as #zella19. The first phase of the wedding ceremony took place on Wednesday, 2nd Jan, 2019. 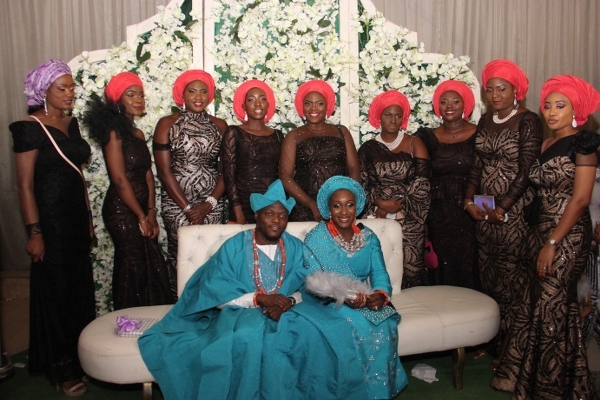 That was the day the bride prize was paid at the Ngbaku ceremony, (carrying of wine to the bride’s parents palatial home) at MKO Gardens in Lagos. It was well attended by many dignatries. The grand finale took place in Lagos on Thursday, Jan 3rd at the Balmoral Event Centre, inside Federal Palace Hotel, Victoria Island, Lagos. It was an event at which the rich culture of Delta was brought to Lagos because of the high status of the bride’s family from Delta State. Martha Najomo is lovedmost of her friends and supports them. So it was like pay back time for her. She has been on the social scene for almost 3 decades and she has not slowed down. Known for her impeccable style, beautiful physique and love for exquisite diamonds, Martha Najomo does not do things in half measures. Her love for exquisite fabrics have not also withered and she has a huge rich collection of luxury jewelries, especially diamonds which is her favourite. What do you expect from her kind of party? Class, extreme opulence, extravagance, colour and most of all glamour in all ramifications. Martha Najomo was elegantly dressed at her daughter’s wedding. She was wearing a sea blue all Swarovski stoned expensive George lace and matched it up with a sea blue sagoe headgear. Anytime she steps out at events, what many people look out for is her neck to know the type of diamond she is wearing because that is what she sells and she practices what she preaches. She is the brain behind Seraphina Gems which stocks exotic jewelry all over the world. Hardly will you see her rerock her diamonds because she also knows how she sources for them from some countries who deal in the high end luxury jewelry. Infact she is known to have owned a diamond block. At her daughter’s wedding, what did she wear? She was seen wearing a Coral diamond set which cost around 23 thousand dollars and about 10 million in naira. When someone like her is having an event, you can be sure her friends of her caliber will storm the party. Not only did they storm the party, they were seen rocking luxury diamond pieces on their neck. Also all the celebrity women wore all the 3 types of aso ebi picked for the party. It was stormed by over 1000 celeb women who dazzled in different styles with their make up on fleeks. Naija celeb women surely know how to party. The aso ebi went for 165k, 80k and 40k but over 1000 women were seen rocking the 165k fully stoned with Swarovski stones George lace. Popularly called queen of blings, Senator Daisy Danjuma is one of the close friends of Martha Najomo, often times she has been seen with different diamond jewelries. She also has a rich collection of it. She is also known to have owned a diamond block. 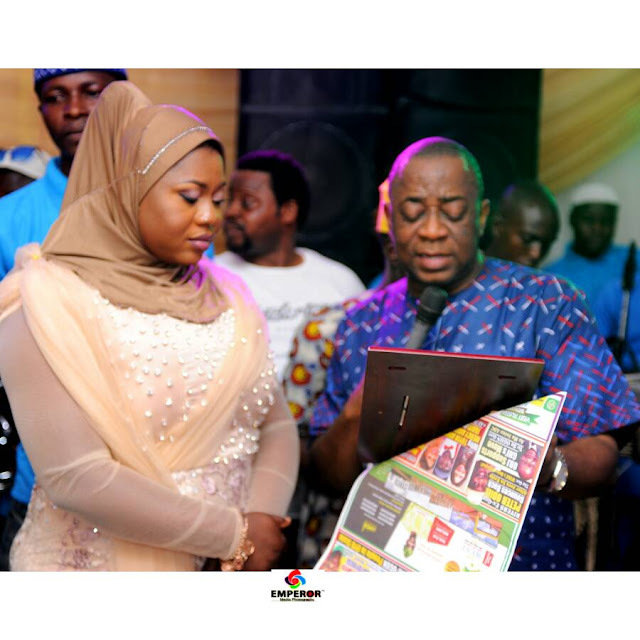 She rocked an all stoned lemon green George paired with an emerald diamond toned diamond set to have cost over 20 million naira, At the party was also Mrs. Roli Adeniyi George who wore the 165k aso ebi and a white diamond. Other celebrity women spotted were Hangers and Kicks boss, Tayo Okusanya, Victoria Folarin, Mary Charles, Stella Morris Idogun, Chioma Madubuko, Rhoda Eweka, Mrs Ogunlesi, Mrs Caroline Adeneye, Mrs Folashade Afolabi, Mrs Bamidele, Nkechi EzeigboMargaret Alameiseigha, Mary Inegbese, Mrs Olusunmade, Mrs Edun, Ibiyemi Odunsi, Ireti Doyle, Bola Awosika, Fiona Enone, Wunmi Lanlehin, Chelma Oki, Camille Najomo, Ivie Paula, Jevwe Alero Oteri,Yosola, Wey Omagbemi, F.koko, Akudo Nweke,Joana Michelle,Ireyuwa oviawe, Esosa Toni Osagie,Adeola Windy,Eke Cassandra, Kukus hair, Princess Toyin Atobatele, Princess Titilayo Gbadebo, Okeowo Oyeleye, Adeyinka Lawal,Chief Mrs T. Adeife,Oluwaseun Kadiri, Nana Yakubu, Joanna Michelle, Andrea Iyanah, Uche Majekodunmi, Mide Louis Akintunde, Titilayo Okoye, Ladi Starr, Wunmi Major, Herbert Celine, Akudo Nweke, Kenke, Ben-Asemota, Ella Eso, Ebuwa Okhomina, Sharon Lewis, Brendan Kennette, Agbai Agbhedo, Akudo, Caramel Sosa, Mrs. Ogbemudia, who all looked ravishing too and a host of others.